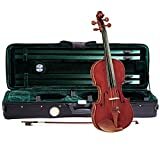 The SV-1220 by Cremona is a superb First violin. Well beyond a beginning students instrument in every way, from its select woods and high-end features, to its astounding tone. It will bring the player a lifetime of enjoyment. Students at higher levels demand only the best when it comes to the instruments they play. Maestro violins are constructed from highly seasoned and aged tonewoods, then hand-selected for use in our instruments. You will find tight-grained tops and extremely figured, high-grade maples for the back, sides and necks. This fantastic tonewood, often curing for more than 100 years, is a Cremona exclusive and is perfect for making violins with an already Aged tone. The production of all Maestro Series Violins is carried out in smaller workshops by our most skilled craftsmen. This allows for a limited number of master luthiers the time required to painstakingly hand-carve and graduate each instrument to unlock its hidden tonal possibilities. Following in the footsteps of the original Italian Master Luthiers, Cremona Maestro Series Violins are available in a variety of transparent, traditional hues that are applied by hand using extremely thin layers of oil varnish or lacquer. These types of finishes allow the fine grain and figuring of the wood to be seen and the woods to resonate fully. Cremona uses only the highest quality hardwoods such as Hill-style boxwood and Grade-A ebony in all the most popular and traditional shapes for the fittings on every Maestro instrument. For the fingerboards, only the best, most highly polished ebony is used. 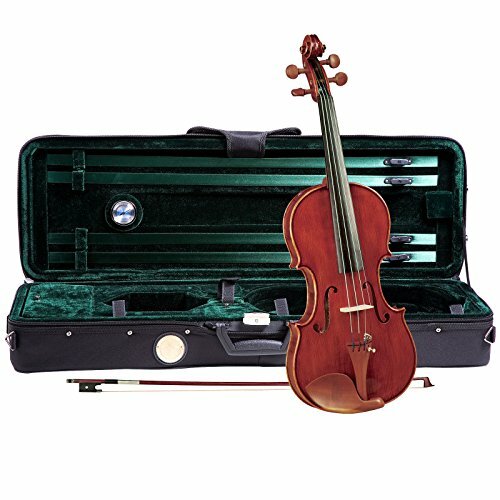 The best way to carry and protect a Cremona Maestro Series Violin Outfit is to put it safely into a Travelite TL-35 Violin case. Since the Travelite Brand was introduced, it has become the industry standard for lightweight durable instrument protection. 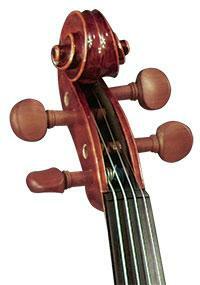 Cremona Maestro Series Violins Master-level violins for the advanced student or aspiring pro! Maestro Series Violin Outfits originated because of our desire to develop high-quality violin outfits specifically designed to meet the needs of students at higher levels of the educational community. We recognized early that as the student progresses and skill level improves, so should the quality of instruments. Regardless of the instrument series or quality level your customer requires, they will have the confidence knowing that they purchased an instrument of high quality and one that will not only play easy, sound and look fantastic following in the traditional designs and specifications set forth by the Master Luthiers of long ago but that will also inspire them to greater musical heights.